Really? What's not to like in this tablescape? 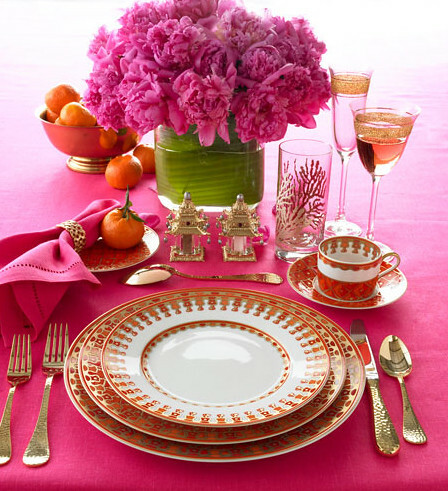 The lush peonies (my favorite flowers) in that deep pink with matching table linens, hammered gold flatware, exquisitely detailed china, and pops of orange and green result in a contrast of color that somehow works beautifully. Keeping vibrant colors throughout your house (and on your table) is a sure way to brighten the days during the cold, winter months.